In the current economy many businesses are looking for new sources of revenue. Recently, Attorney Peter Herbst assisted the owner of a rock and gravel quarry in adding retail sales to his otherwise wholesale business. While the existing zoning regulations prevented any retail sales at the client’s industrial zoned property, Attorney Herbst crafted a text amendment to the city’s zoning regulations that would allow accessory retail sales in industrial areas. Attorney Herbst worked closely with the city’s planner to identify the initial concerns as to the size of the retail sales and the types of products that would be sold. Having received the informal approval of the city planner, Attorney Herbst submitted the text amendment before the planning and zoning board for adoption. While there was some objection from neighbors and commission members, Attorney Herbst demonstrated that the text amendment would not substantially alter the nature of the industrial use and negotiated restrictions on hours of operation and products sold that both met the client’s needs and satisfied the neighbors’ concerns. The approval of the text amendment allowed the client to establish an accessory retail business to his wholesale rock and quarry operations. Not only was he able to expand current sales of existing products, but he was allowed to sell accessory products such as concrete pavers, pvc piping and other similar products to provide one stop shopping for his customers for certain projects. While none of this would have been permitted under the existing zoning regulations, by carefully identifying the client’s needs and the concerns of both the city and the neighbors, Attorney Herbst was able to acquire a zoning regulation that provided an additional stream of revenue for the client. 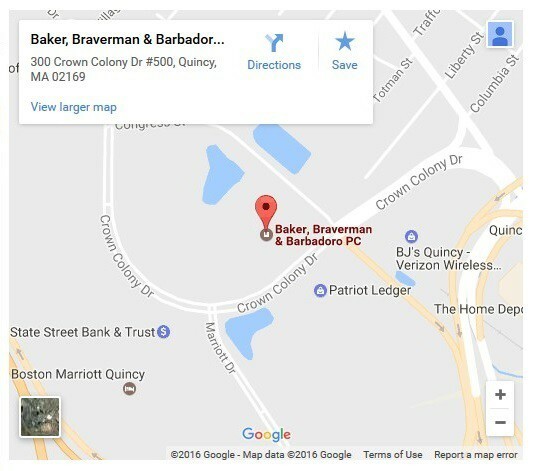 At Baker, Braverman & Barbadoro our attorneys look for creative ways to make the law work for our clients: which sometimes requires crafting new provisions in the law that meet our client’s needs. – by Peter C. Herbst, Jr.